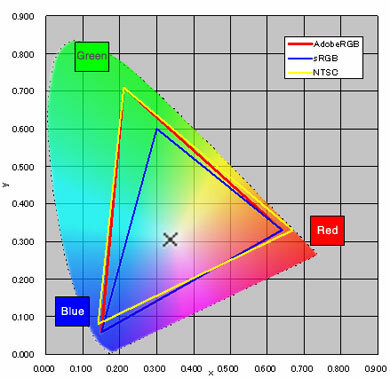 I cannot comment regarding the colour gamut outside of the specifications you already know. The Cintiq Pro 16 does have a fan to keep the device at optimal operating temperature. I'm asking about the Cintiq16FHD (1080) I ordered already, so I would compare both 13HD and 16FHD tomorrow, I guess color would be very similar, not optimal, but enough. But I'm wondering why would Wacom change the color gamut standard in each models. What does it means? I did some research and it looks like they are quite similar, so I guess the thing is 72%NTSC would means less than 75% Adobe RGB, that's the only explanation for they changing the standard. I want to think that both mean something around 100% sRGB, but then, from the marketing POV, 72%NTSC is a smaller figure than 75% AdobeRGB, this goes against the n.99 price rule, where the customer tends to see just the first digit, i.e. 49.99USD looks far cheaper than 50.00USD, though they are virtually same price. that's where my doubt comes. and about the fan, I want to think that the 16FHD hasn't as the pixel density is quite similar to the 13HD and this doesn't come with fan. The decision to change was made for clarity and well as for easy comparison with other manufacturers. As for fans with the Cintiq 16, you are correct, there are no fans. To be honest, if accurate colour reproduction is something you really need, then you would probably need a device form the Pro line. I've received the 16 FHD and it comes better calibrated than the old 13HD, colors are quite similar to the 13HD (I dont't have the calibration tool I used to calibrate the 13HD so can't compare exactly but to my eye, right out of the box,16FHD is quite similar to my other 3 calibrated screens), and color gamut is acceptable, Eizo screen test is similar to the 13HD, for final color reference I still use the other screens, not problem at all. Price is awesome for a Wacom product, high quality device overall.